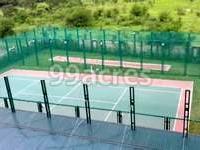 Nyati Elan in Wagholi, Pune by Nyati Group Builders is a residential project.  The size of the Apartment ranges in between 40.0 sq.ft. and 1244.0 sq.ft. Nyati Elan price ranges from 34.05 Lacs to 90.00 Lacs. Nyati Elan offers facilities such as Gymnasium and Lift. Bank loan approved from HDFC home loans, ICICI, Punjab National Bank and AXIS Bank LTD. It is a new launch and ready to move project with possession in Jun, 2018 with few units already sold out. The project is spread over a total area of 5.4 acres of land. It has 20% of open space. Nyati Elan has a total of 8 towers. The construction is of 12 floors. An accommodation of 480 units has been provided. Nyati Elan brochure is also available for easy reference. Where is Nyati Elan located? The project is located in Wagholi, Pune. What apartment sizes are available in Nyati Elan? The project offers apartments sized between 40.0 sqft and 1244.0 sqft. How much is area of 2bhk in Nyati Elan? Two-room units (2BHK) in the project are available in an area of 40.0 sqft to 903.0 sqft. What is size of 3 bhk in Nyati Elan? 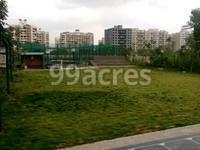 The area of 3 BHK apartments ranges from 994.0 sqft to 1244.0 sqft. What is the area of Nyati Elan?The total area that the project occupies is 5.4 Acres. Nyati Group is one of the most reputed property developers in Pune. The builder group has won several awards and accolades for its matchless contribution to the field of real estate development and construction. It has won the Gold Award for the Best Quality Management Systems Award, BAI Award for well-built structure, BAI award for best industrial building awards, the project of the year, BAI award for best residential complex in Pune and BAI award for best residential building. across all the segments. It aims to set up and deliver quality homes through the finest construction and is known to hand over the townships and developments within the promised timeframe. Nyati Group has built a strong and flawless reputation of through ethical business practices, mega township structures and technological innovations. The company?s main aim is to continue the legacy of building residence and creating fine spaces for work, life and leisure. Hi, Nyati Elan is a new launch by Nyati Group in Wagholi, Pune. I went to its launch and they were offering a rate of 3990 psf even after negotiation the builder was not ready to come down below 3900 psf rate. Is this a fair deal? Should I go for it? The builder is good as they have a good track record. I have also heard that the current metro plan till Ramwadi Naka will be further extended all the way to Kharadi-Hadapsar bypass. This is eventually going to help Wagholi. So, what do you suggest? Should I go ahead with the current deal? Hi Mr Wazabi, No 2nd thought on the developer Nyati. He has got a class and sticks to what it commits. I know I am too late on this but If you have not bought the property there yet, kindly get in touch with me for more benefit. Hi Wazabi- Yes, Certainly you must go ahead with the deal. The Builder is Reputed and the Rate you have got is very fair and attractive. If you are serious about buying, then do not wait as the offer may no last for long.